If you face the Lakewood Plaza strip mall on the north side of Detroit Avenue today, you are looking at the site where the family farmhouse of Mrs. Virginia (Jennie) Harron Andrews once stood. It may be hard to imagine this home and the 80-acre French & Andrews fruit farm that sat directly behind it in full operation, given its stark contrast with present day Detroit Avenue. If you allow your mind to travel back 150 years or so, however, the urban noise will fade away and you will perhaps hear the clippity-clop of a horse-pulled fruit wagon traveling to the market on the oak planks paving Detroit Avenue. The wagon would be coming from the French & Andrews fruit farm run by Virginia's husband, Edwin Andrews, and her uncle Collins French. You may even be able to smell the plum and cherry blossoms that decorated the landscape famous for producing luscious strawberries, grapes, apples and pears, and hear the chatter of the Bohemian women hired to harvest the bounty. Collins French's parents Price and Rachel French were among Rockport Township's (as Lakewood was then known) earliest settlers when they arrived there in 1818. Price was believed to be descended of an English lord, and his wife contained the blood of a Cherokee Indian chief. After Price served in the war of 1812 and the couple had children, they traveled west from Vermont to Rockport to farm its cheap, abundant land. Price constructed the family home on the southwest corner of Wyandotte and Detroit Avenue. It was the first brick home in Lakewood. The bricks were furnished by Richard Muscut for $1.25 per 1000 bricks. It was arranged that Mr. Muscut would be paid in 1/3 money and 2/3 wheat, corn, pork and potatoes. Collins, the French's oldest son, eventually took over his father's farm and also became a trustee of Rockport Township. In 1832, he married Rosetta. They had no children of their own but adopted Rosetta's niece, Virginia Harron, affectionately calling her Jennie (Virginia Avenue was later named after her). Virginia married Edwin Andrews, who became Collin French's business partner. The French and Andrews families ran their successful fruit farm and nursery on their land north of Detroit Avenue to Lake Erie between Lakeland and Andrews Avenues. 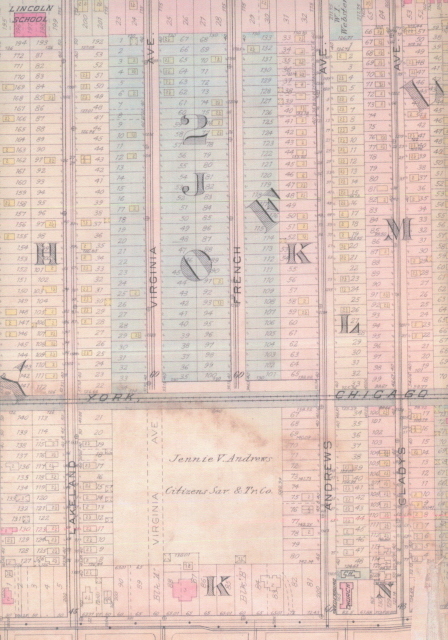 Virginia and Edwin had four sons who all worked on the farm and helped build Lakewood's reputation as a prosperous fruit-growing center in the second half of the 19th century. 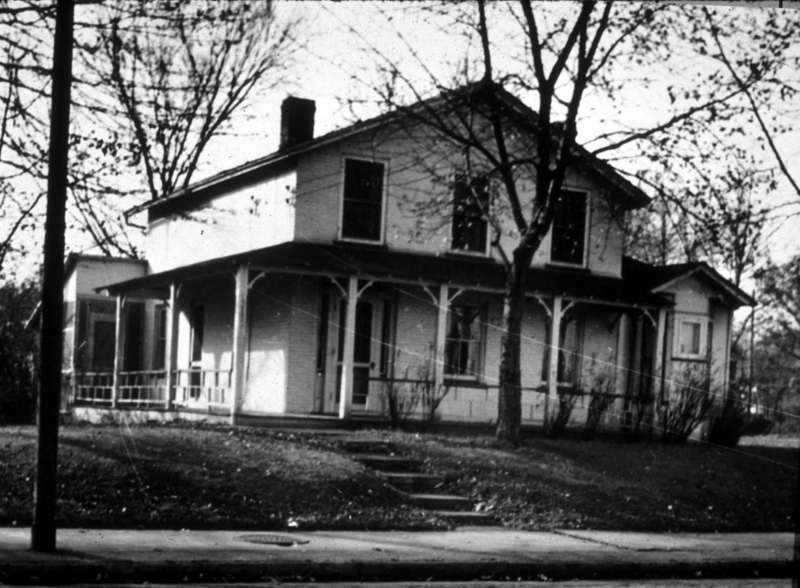 The Andrews home on Detroit Avenue, built in the 1850s, was eventually torn down in the late 1930s to make way for the Mars Shopping Center (now Lakewood Plaza) and its parking lot. 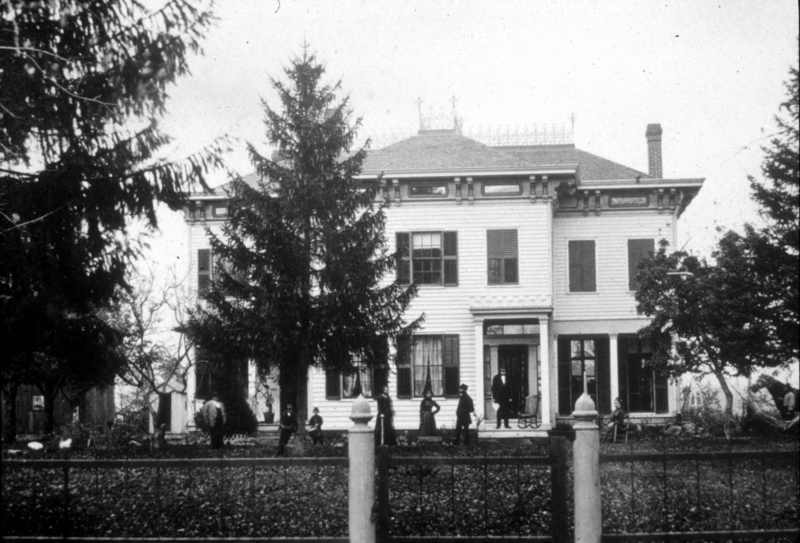 The family converted its orchards into residential developments around the turn of the 20th-century as Lakewood's population rose and the community became more suburban than rural. 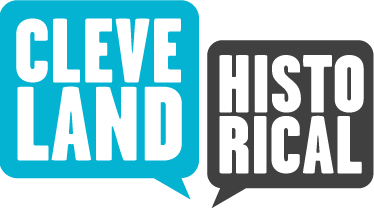 This trend continued as Lakewood quickly emerged as a full-fledged suburb of Cleveland, making it a challenge today for even the liveliest of imaginations to picture a time when Detroit Avenue was dotted with farmhouses and fruit orchards, as opposed to stoplights and shopping centers. Price French House: This home, built by Price French prior to 1840, was the first brick house built in Lakewood, but it is no longer standing. It was constructed on the southwest corner of Wyandotte and Detroit Avenue with clay bricks. Clay was an abundant natural resource in Lakewood. Image Courtesy of the Lakewood Historical Society. 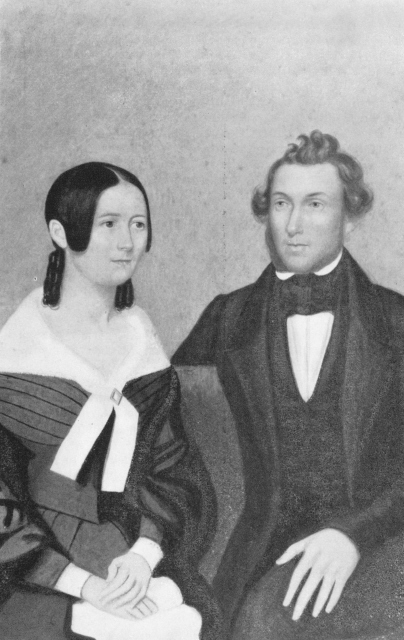 Collins and Rosetta French, Circa 1830s: This is an image of a painting of Collins and Rosetta French painted near the date of their wedding in 1832. Collins was the oldest son of Price French and would found the French-Andrews Family Fruit Farm. Image courtesy of Lakewood Historical Society. 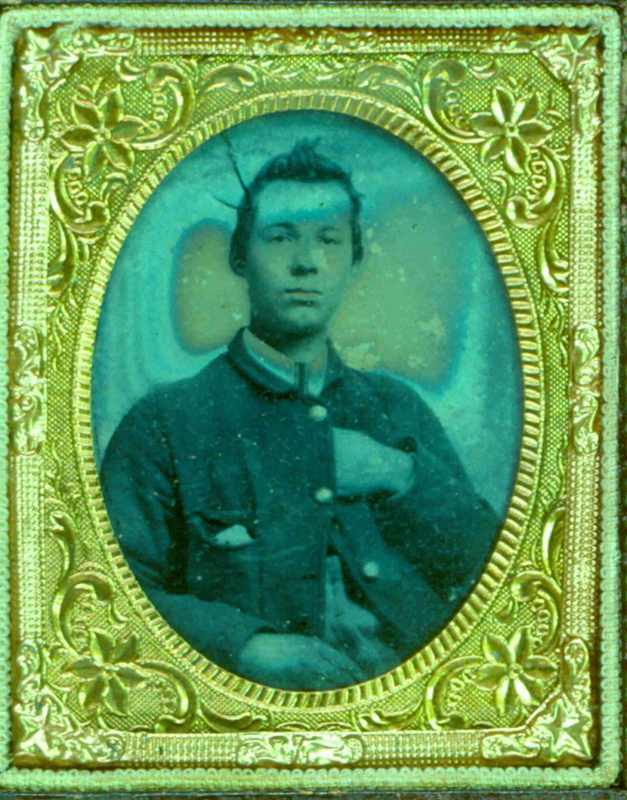 Edwin Andrews: This is a photograph of Edwin Andrews as a young man. Edwin married Virginia (Jennie) Andrews, the adopted niece of Collins and Rosetta French. Collins French and Edwin Andrews were the owners and operators of the French-Andrews Family Fruit Farm. 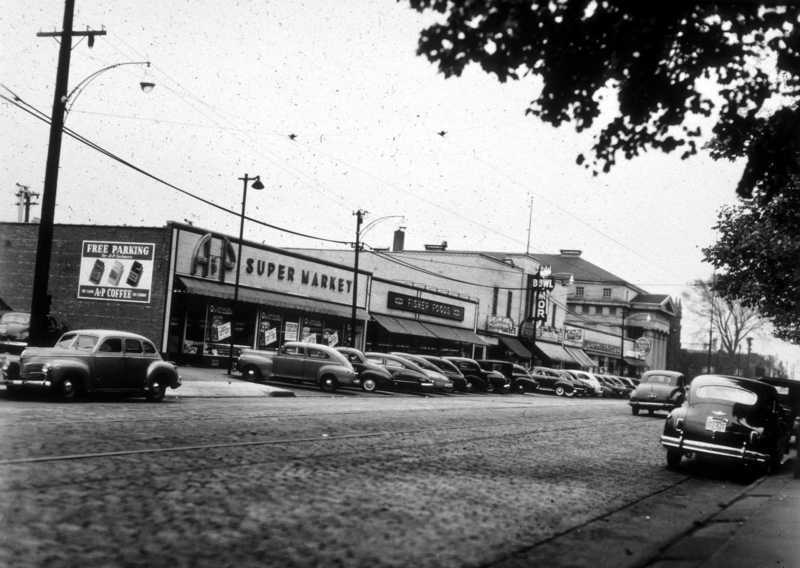 Image courtesy of the Lakewood Historical Society. “French-Andrews Fruit Farm,” Cleveland Historical, accessed April 18, 2019, https://clevelandhistorical.org/items/show/245. Published on Jul 11, 2011. Last updated on Apr 18, 2017.